Featured amenities include limo/town car service, express check-in, and luggage storage. A stay at Residenza Vatican Suite places you in the heart of Rome, within a 15-minute walk of Castel Sant'Angelo and Piazza del Popolo. 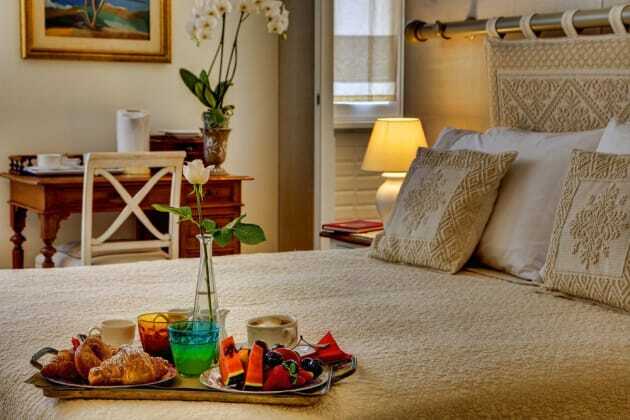 This bed & breakfast is 0.7 mi (1.1 km) from Via del Corso and 0.8 mi (1.2 km) from Vatican Museums. 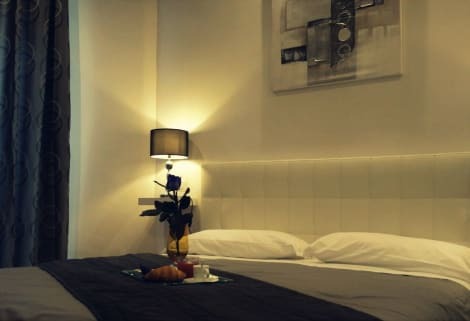 Centrally located in Rome, Domus Horatio is a 7-minute walk from Lepanto Metro Station. It offers soundproofed rooms and free WiFi. Each room at Domus Horatio will provide you with a TV, a n electric kettle and a desk. The private bathroom includes a hairdryer and free toiletries. Castel Sant'Angelo is reachalbe on foot in 4 minutes. Termini Train Station is 5 metro stop from the property. With a stay at 900 Piazza del Popolo in Rome (Flaminio), you'll be steps from Villa Borghese and 3 minutes by foot from Via del Corso. This townhouse accommodation is 0.2 mi (0.3 km) from Piazza del Popolo and 0.5 mi (0.9 km) from Piazza di Spagna. Make yourself at home in one of the 5 air-conditioned rooms featuring refrigerators and flat-screen televisions. Complimentary wireless Internet access keeps you connected, and digital programming is available for your entertainment. Private bathrooms with bathtubs or showers feature complimentary toiletries and hair dryers. Conveniences include coffee/tea makers and complimentary bottled water. This smoke-free bed & breakfast offers discounted parking nearby. 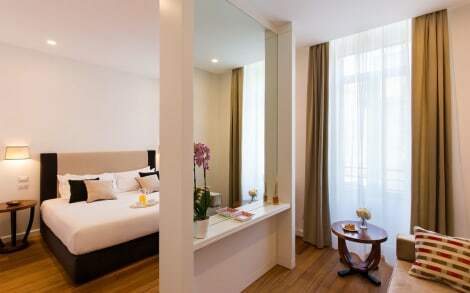 Make yourself at home in one of the 5 air-conditioned rooms featuring flat-screen televisions. Complimentary wireless Internet access keeps you connected, and digital programming is available for your entertainment. Private bathrooms with showers feature complimentary toiletries and hair dryers. Conveniences include separate sitting areas and coffee/tea makers, and you can also request irons/ironing boards.